Rent canoes for a day a Lits Camping. The canoe season runs from May to September. There’s no need to make a reservation beforehand. Just stop by the reception during our opening times (08.00-22.00 peak season July-August). For off-season we recommend you give us a call first. 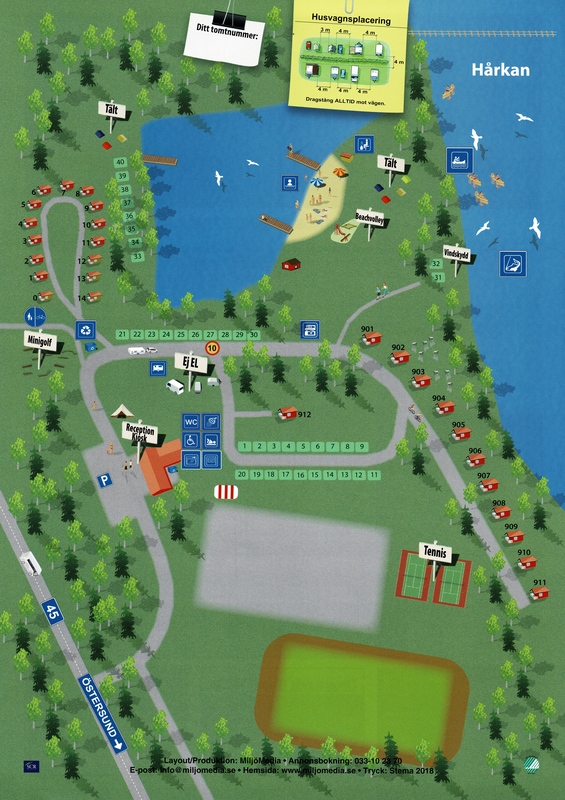 *Guests staying at the campsite may rent for a discounted price: 345 SEK/1 day. All prices are charged per day, not per 24 hours (i.e. if you rent from one afternoon to next morning it counts as 2 days). Paddles and life vests are always included in the price; maps are also included on long trips. At Blåberget there are shelters and a fireplace where you can stop for lunch, maybe to grill a perch or trout (please bring firewood because it can be difficult to find nearby when many visit the site). Then, after a much needed coffee break, you only need to follow the current to paddle back down to the canoe center in Lit. This tour we can recommend for both the novice and highly experienced canoeists and is suitable for both kayak and canadian canoe. You could buy a fishing license at our reception so you will also have chance to catch trout, greyling, whitefish, pike and perch. Fishing permits costs only 25 SEK/24 hours or 50 SEK/week! On a day trip or shorter trips, we recommend that you also rent a packing barrel to have your pack in, in case you capsize or if it gets wet from rain. Start at our canoe dock at the campground and paddle downstream on the wide Indalsälven river. Some beautiful islands are located a couple of kilometers along the north side of the river. You can continue for quite some time down streams before you turn around. Remember that going back will be much tougher than floating with the current on your way down. We transport you upstream Hårkan to an appropriate starting point, i.e. Mångbodarna at 20 kilometers. In this scenario there’s no need to paddle back and forth and you can follow the river down streams back to Lits Camping. Transports should be reserved beforehand.